Fixed lead keel 425 lbs. 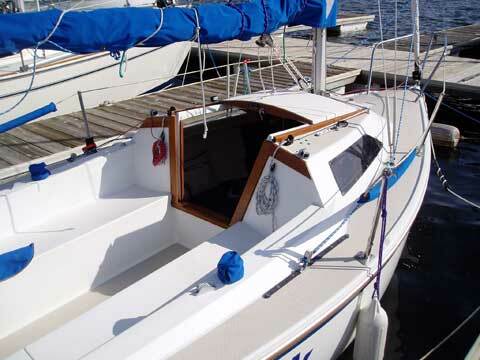 Very well equipped 1987 Capri 18, Excellent condition and well maintained boat. Boat stored indoors in the off season. Includes single axel trailrite trailer and new motor. 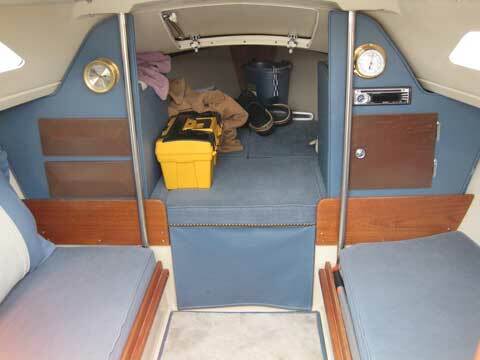 Great starter keelboat to learn on and easy to trailer. 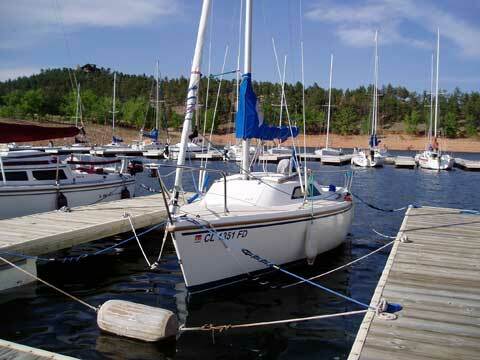 Boat is ready to be sailed. 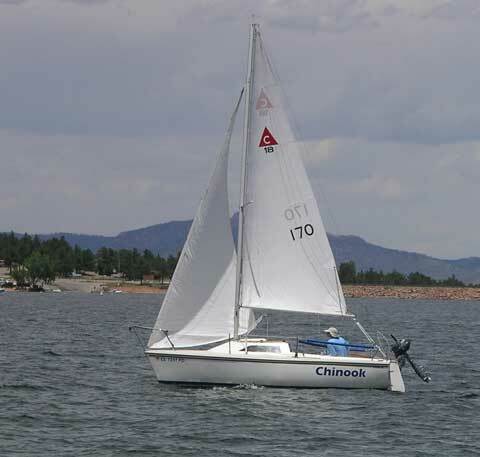 Furling headsail, refurbished with blue sunbrella sun protection on leech and foot.